The Yearbook 's principal aim is to review significant legal developments in international business and to offer an important forum and point of reference to international legal practitioners. Volume 13 continues to develop the inclusion of materials which are of particular value to practitioners and advisers working within the international business sector. 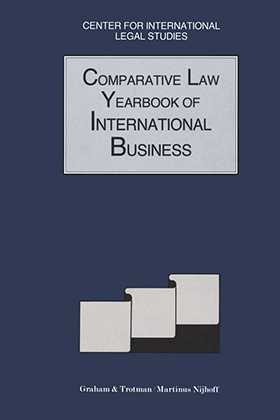 This 1991 volume gathers a range of considerable expertise to bear upon issues of company law, litigation and arbitration, foreign investment, joint ventures, financial services, and deregulation. The Yearbook is published under the auspices of the Centre of International Legal Studies, Austria.